At I-AM we always like to encourage people facing challenges, particularly those for a good cause! In January, one of our clients in the UAE, Angus, mentioned that he would be running the Dubai Marathon and we jumped at the chance to support and help him raise money for the Marie Curie Cancer Care. We were all so impressed that he was going to endure running such an insane distance, let alone it being in the desert! 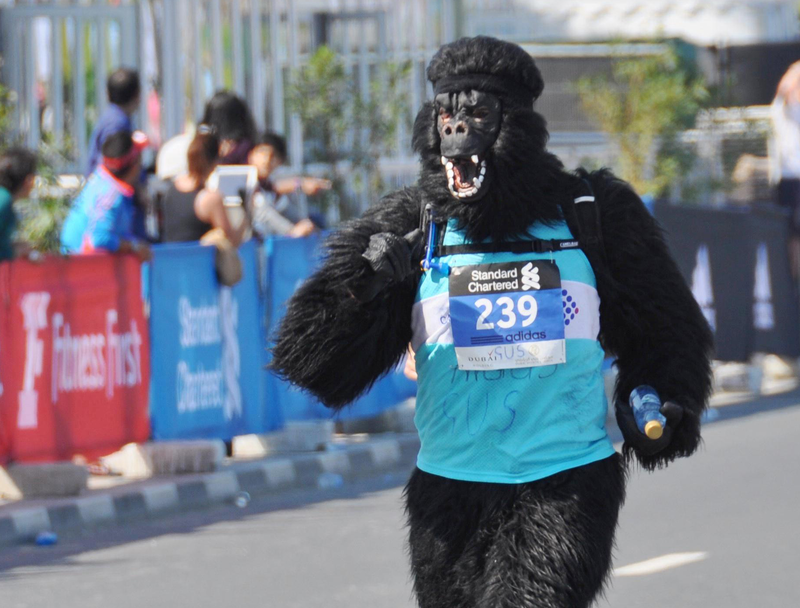 As if that was not enough of a challenge, Angus decided to run the entire 26 gruelling miles in a full-on gorilla costume! Phew! We also have a few keen runner beans across all four I-AM studios, some who are currently training for their own marathons (in Paris and Rome). They will also have the full support of I-AM behind them – go go go team!! I-AM supports a desert marathon runner- Go Go Go!! 27/11 - Branch Transformation: Do you really need a branch of the future? And does it have to be a Ferrari? 18/06 - I have too many bikes. Said no cyclist ever! 18/03 - Can Fast Food be Premium? 29/01 - I-AM supports a desert marathon runner- Go Go Go! !